Special thanks to Hotspot Shield for sponsoring today’s post and keeping my family safe online. If your home is like mine, you’ve probably spent a lot of time concerned about how to protect your privacy online. The internet permeates our lives through our phones, computers, and even our televisions. Sadly, there are far too many people who invest their time in learning how to use those gateways into our homes to do harm. 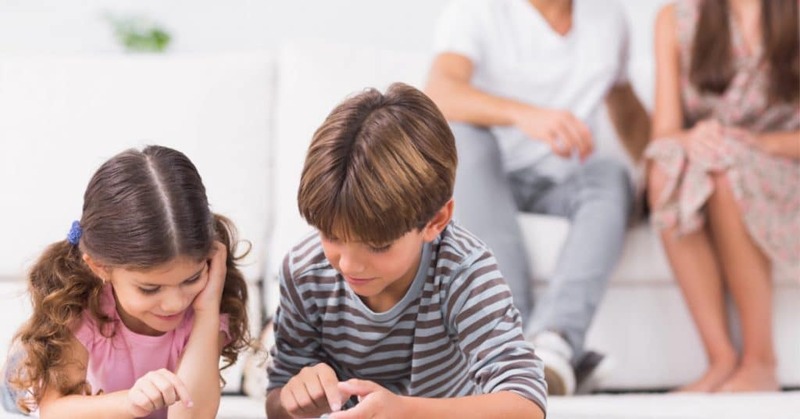 Whether it’s stealing our information so they can shop with someone else’s credit cards or creating a bridge to connect with innocent children, without a line of defense your family is vulnerable. That’s why it’s essential to set up Hotspot Shield, a free internet security app, on your family’s devices to protect your privacy both at home and on the go. The fastest, easiest, and most affordable way to protect your privacy online is to download and run Hotspot Shield. Any time you access public WiFi, you are vulnerable to hackers who can access your information. Some hackers even set up public WiFi hotspots for the express purpose of accessing your device. Even if you already knew you are vulnerable when you access public WiFi, you might not have considered the threat to your privacy on your own internet connection. The sad reality is that hackers are sophisticated and once they pin down your IP address, they can easily track your online activity and your location. Hackers can not only determine your physical location through your IP, but they can also track your browsing habits. This means someone could learn not only where you live, but when you are most likely home and away, along with details about your likes/dislikes and where you like to shop. In addition, some hackers can (and do) launch DDoS attacks. These can shut down your system. Because of Hotspot Shield’s high-level encryption, your information is transferred safely to the sites you visit. Of course, you should always be careful about who you are sharing information with, but at least with Hotspot Shield ensures that no third-party can gain access to that information. 256-bit encryption: This is government-level encryption against cybercriminals. Anything less will make you vulnerable to attacks. Multiple servers and locations: The more servers, the less likely the system will run slowly. Multiple locations allow you to access a strong connection no matter where you travel. As an added bonus, by switching to server to your home location when abroad, you can watch all your favorite shows on Netflix and other streaming sites as if you were sat at home. 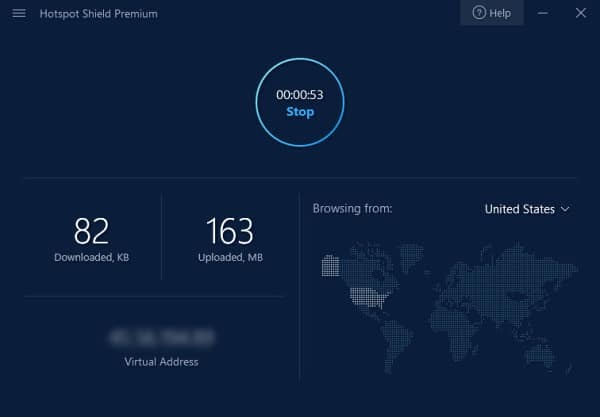 Speed: Hotspot Shield is specifically designed to be fast so that you don’t experience lag when using it. In fact, Hotspot Shield was ranked #1 for speed, performance, and security in a recent independent study by AV-Test. Ease of Use: If something is too complicated or requires too many steps, chances are you won’t bother with it. Neither will anyone else in your family. Hotspot Shield runs automatically (if you choose that setting) and can easily be turned on and off with a single click. Just open the app, click “connect”, and your internet connection is now secure. Good reviews (and lots of them): Hotspot Shield has over a million positive reviews from people who have tried and love it! First, CLICK HERE to go to the Hotspot Shield website. This will give you a 7-day free trial of all the features so you can see how it works before signing up for a Premium plan. If you opt for the one-year subscription, the monthly rate is only $5.99. 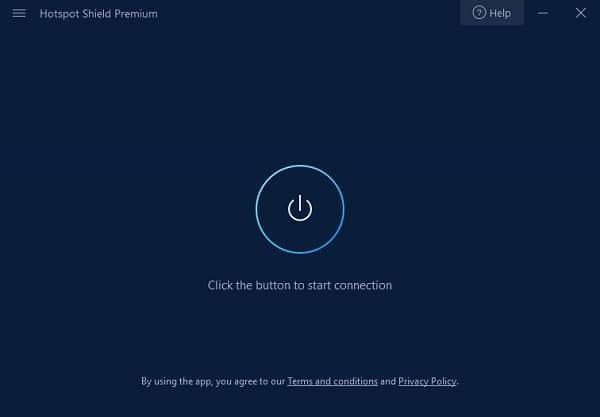 You don’t have to sign up for Premium, you can just use the free version, but Premium does offer faster speeds, a selection of 25 virtual server locations to choose from, protection for up to five devices, and other nice features. But you can certainly just use the free option to protect your device. You can then choose your settings by simply toggling functions on or off. For my home computer, I have “Kill Switch” set to off, but on my laptop, I have it on. 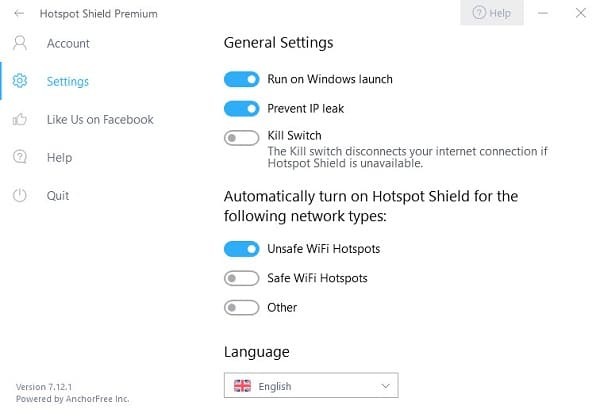 That way, if I’m connected to public WiFi and my Hotspot Shield connection drops for some reason, I’ll know right away and Hotspot Shield will “kill” my connection so I’m not exposed. I have mine set to launch whenever I log onto my computer. But if you ever turn it off, you just have to click a button to turn it back on. It’s not complicated at all. See? Likewise, if you ever want to turn Hotspot Shield off for any reason, you just click the “Stop” button. I don’t know why you’d want to turn it off, but I’m glad it’s so simple to do. Hotspot Shield is an easy and affordable way to protect your information and your family from online threats. If you aren’t already using it, you should head over to Hotspot Shield and get it set up today.